High quality bricklaying, garden, concreting, cutting & grinding tools for sale. We deliver Australia wide, or you can visit us in our Canberra showroom. We accept returns for any reason. Just send items back in new condition . Are you driving 15 minutes or more to buy your tools? Are quality tools sometimes hard to find in your area? Have tools ever let you down on the job? Trusted Canberra Building and Garden Supplies – Shipped All Over Australia! CDBS Construction and Garden Centre (also known as Canberra Diamond Blade Suppliers) is your dedicated supplier of high quality bricklaying, garden, concreting, cutting and grinding tools and machinery throughout Australia. Our easy-to-use online store coupled with our fast shipping anywhere in the country means you can shop our catalogue anywhere, anytime and have you tools in your hand within just a few days! Committed to providing an exceptional range of products – including bricklaying, garden, concreting, cutting and grinding tools – we make it easier than ever for you to source value for money tools when you need them. Simply browse our catalogue today and start shopping online to see why we’re a trusted name amongst tradies throughout the country. Quick, convenient and affordably priced – this is what we are proud to offer here at Canberra Diamond Blade. Our online store not only offers a variety of diamond blades from different brands and suited to different needs, but a host of other products perfect for your project. This includes general building supplies, bricklaying tools, lawn mowers and other garden machinery, concreting tools, replacement engines (and other spare parts for your construction machinery), landscaping equipment, generators, industrial heaters and construction vacuums and much, much more. Our commitment to offering a truly comprehensive range of items without charging a fortune is what separates us from the pack. With more than 235 reputable brands to choose from, you can shop our online store with absolute confidence knowing you are always getting the best deal possible. What makes us diamond blade suppliers to trust? We aim to make your experience shopping with CDBS Construction and Garden Centre seamless from beginning to end. This has always been important to us, as we know how important it is for tradies to source the right tools and equipment as quickly as possible. It only takes a few clicks to place your order! And if you’re unsure of what you need or what will work best for you, simply give us a call on 02 6242 8996. You don’t need a reason to return your item. As long as they’re in new condition, send them back and we’ll give you a refund. 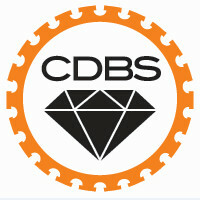 The next time you’re in need of new equipment or supplies for your project, CDBS is the place to shop. Our comprehensive catalogue has everything you need to enjoy a quick, easy and affordable experience. Place your order with us today to receive fast shipping to your door as well as free shipping on all order over $200 or $100 for those in Canberra, ACT. Alternatively, our staff are always happy to help you find the right tools for your needs, so give us a call on Call 02 6242 8996 for more information on our range.